The creation of the Sustainability Fellows program addresses a critical need, getting students fully involved in green thinking and planning through education and advocacy. Sustainability Fellows focus on one or more projects of particular interest to them that meet university needs. Through the program, students also develop professional skill sets that will help them promote sustainability in future careers. 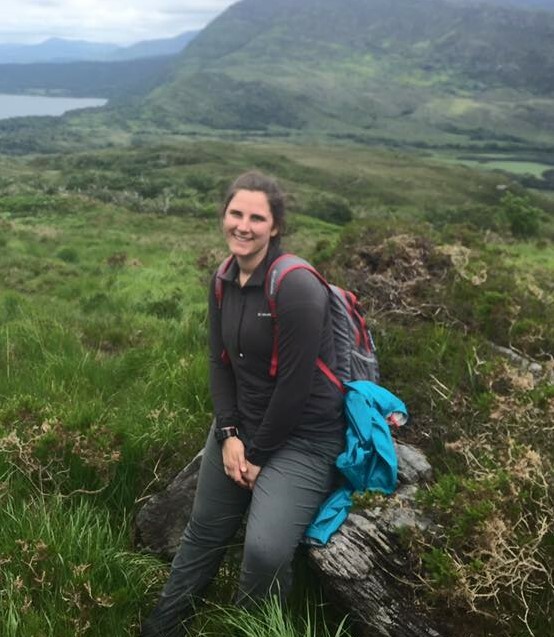 Holiday is a Master’s student from McHenry, Illinois and is continuing her education in Geography and Environmental Resources after graduating with honors from SIU in May, 2018. Previously, she was worked with the Illinois Department of Natural Resources as a Conservation Worker. Additionally, she also was an intern for AES Solar and Giant City State Park and was a volunteer with Green Earth. In her free time, she enjoys photography and making environmentally inspired art pieces. Gabby is a senior from Normal, Illinois. She is majoring in Political Science and Economics, with specializations in law and financial economics. 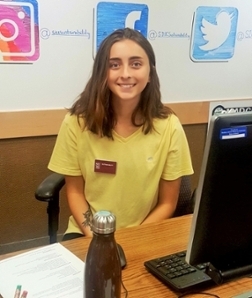 She is starting as a sustainability fellow this spring 2019, and is working on the STARS AC-1 report, which deals with sustainability-focused and sustainability-inclusive courses offered at SIUC. After graduation, she hopes to work for a sustainability-focused NGO before heading to law or graduate school. 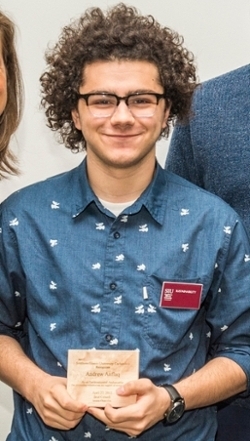 Gage is currently a junior here at SIU studying Zoology and has a double minor in Environmental Studies and Sustainability. This past Summer he recently completed an internship at Giant City State Park through the Geography and Environmental Resources department, worked as a lab technician under Dr. Brooks for the sustainable eco-recreation project funded by the green fee, and also worked on miscellaneous projects at the Horticulture Resource Center. His hobbies include hiking, learning about the different aspects of sustainability, and petting dogs. Alexis is a Public Health major with a strong interest in protecting the environment though sustainability. She believes in harmony between humans, nature, and the economy along with having two cats of her own, Smokey and Bandit. She is a member of Eta Sigma Gamma, and will graduate in May of 2019. Alexis has plans to go back to school and get a masters in the environmental field. At the Sustainability Office, Jesse is responsible for recording and maintaining the data sheets for the recycling program and the ink and toner program. He is also working on developing the upcoming proposed sustainability dashboard. He is a mechanical engineering student who is focused on energy management and technology. In his free time (when there is some) Jesse works on vintage cars and motorcycles. Cecilia has been a Carbondale resident since she moved from Spain ten years ago. 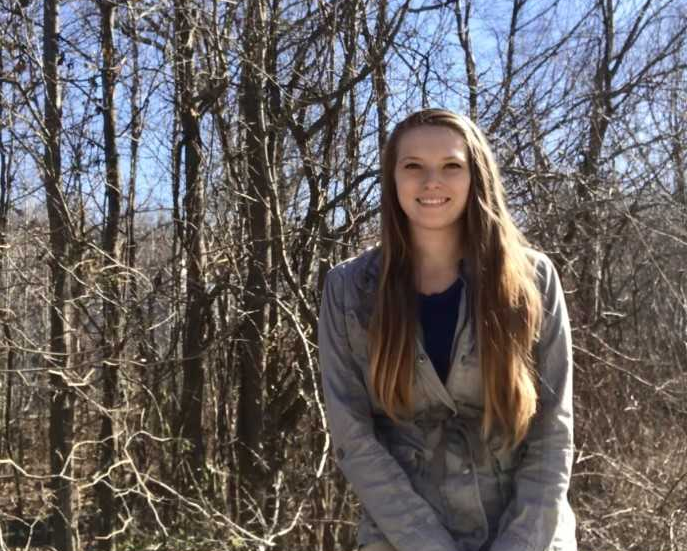 She's a second year honors student at SIUC majoring in Geology and in Geography and Environmental Resources with a special interest in hydrology and sustainability. She is also conducting research in "Filtering arsenic from contaminated water" with the REACH grant through the geology department. She will be starting as a new fellow at the Sustainability Office this fall 2018. Erin is a senior from Zion, Illinois. She majors in anthropology and international studies, and minors in Spanish, geography, environmental studies, and Latino and Latin American studies. 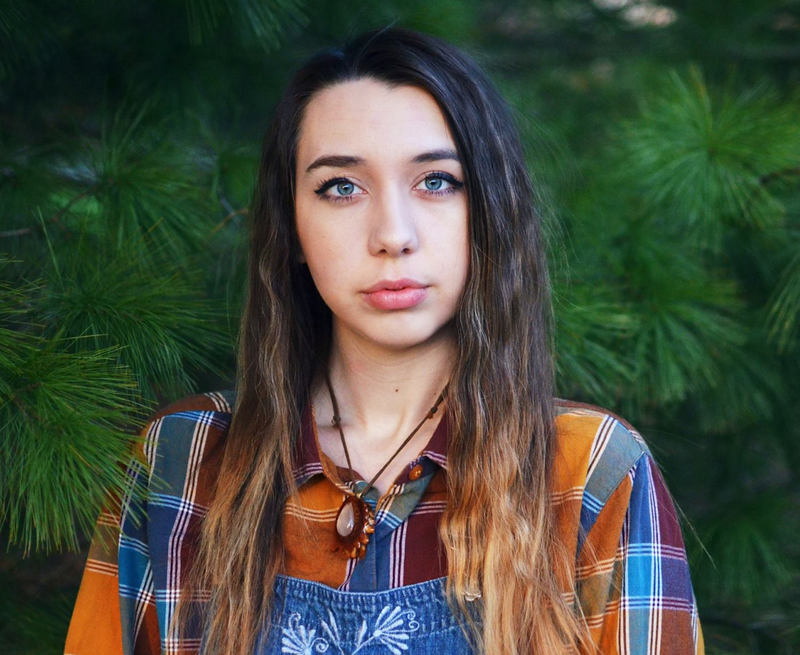 She has been a Sustainability Fellow since May 2018, and volunteers with the Center for English as a Second Language, the Humane Society of Southern Illinois, and is a member of the University Honors Program. She will graduate in December 2018. Samantha is a Geography and Environmental Resources major and Classics minor. 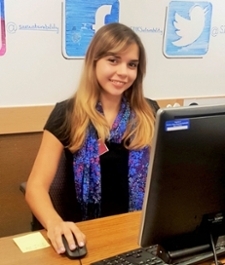 She is currently interning with the Sustainability Office, working on the Ink & Toner Program. Samantha is passionate about recycling and Monarch butterfly conservation. In addition, she hopes to further educate the Carbondale community through events on clothing waste and butterfly conservation! She aspires to pursue graduate studies upon graduation. Andrew is a current paralegal and enviromental studies double major. In addition to conducting research for the office on topics such as green tech, campus sustainability initiatives, and IPM, he is currently working on a "Sustainability is for All Majors" campaign! His hope is to one day combine his passions in the environmental law field or work around sustainability in general. Julia is a master's student studying urban sustainability and climate change with the Geography and Environmental Resources Department. She believes that "integrating sustainability into all aspects of life will better serve our environment and economy in a more equitable way." Now that Julia has graduated, she has accepted an environmental management position in Kansas City where she will tracking sustainability data for facilities throughout the country! Congrats Julia! Julia explains more of her role in the Sustainability office in her internship paper. She includes how our team works together "behind-the-scenes" in the day-to-days of office activities. Elise is a forestry student with a minor in environmental studies. Not only did Elise manage the ink and toner recyling program, but worked on additional recycling programming as well! Now that she has graduated, she has accepted a forestry position in Idaho. Congrats Elise! Jatoya is a Geography and Environmental Resources/GIS student. She is currently managing the ink and toner recycling program. In addition, she is developing a Zero Waste Events programming concept for SIU. We are currently seeking Sustainability Fellows! Are you passionate about positively impacting the world around you? Do you have ideas to help improve SIU? We are seeking students who are enthusiastic to work as a part of the Sustainability Office team! We strive to match your passion with a current need on campus as a part of this un-paid internship program. Students are expected to work a set schedule for 8-10 hours per week and perform duties in a professional manner. 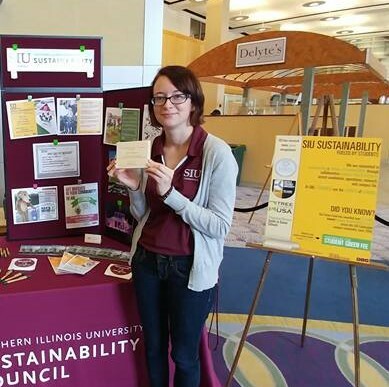 If you are interested in becoming a Sustainability Fellow, please contact us at sustainability@siu.edu. Include “Sustainability Fellow” in the subject line and tell us why you are interested in this role.